After studying at the École des Arts et Métiers in Saint-Gall, Sophie Taeuber settled in Zurich, where she taught embroidery and weaving. In 1915, she met Jean Arp. They both joined the Dada movement, and took part in performances at the celebrated Cabaret Voltaire. 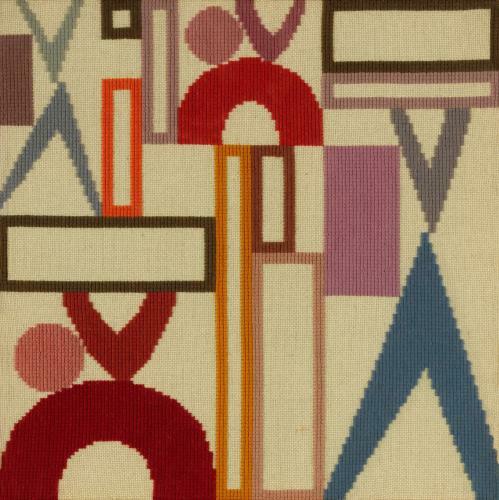 In 1916, Sophie Taeuber-Arp began to create geometric compositions with a formal vocabulary of circles, squares, rectangles and triangles in lively colours, which she laid out perpendicularly, in line with the horizontals and verticals.